Want an effective way to promote your business? 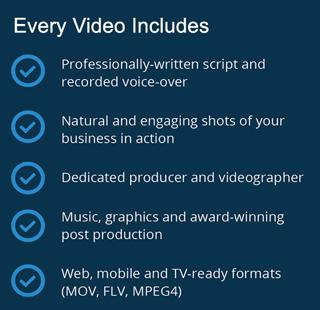 A professionally scripted and produced video with a narrator to deliver your message is an excellent method to engage your customers. Showcase your professional services such as dentists, legal services and accountants. Display products from your retail store, bakery or ecommerce site. Promote your location. Great for golf courses, developments and campgrounds.